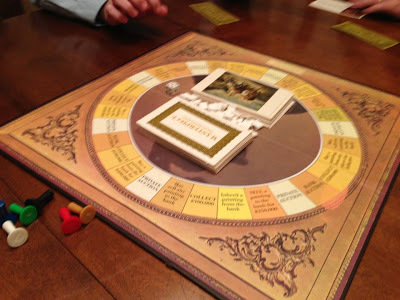 ...we went over to Andrew's parent's house for dinner and family game night. 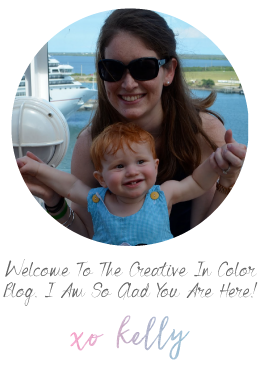 We love to play games as a family - new games, old games, any games really. 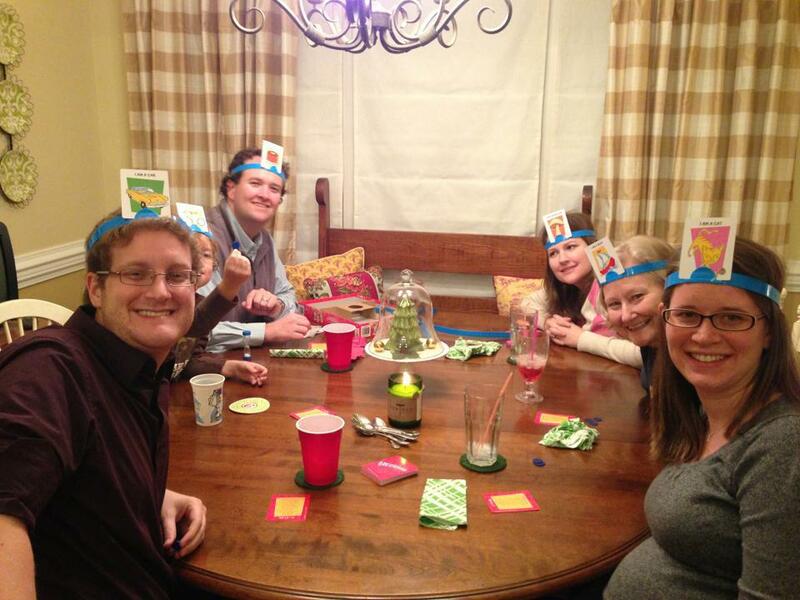 The Eckleys brought over a fun new game the kids got for Christmas called Headbanz (or something like that). It is a guessing game where you have to ask yes or no questions and try to guess the item on the card that is attached to your head. You wind up looking really silly...but that is half the fun. After a couple rounds of headbanz the kids lost interest and the adults played a "throw back" game of masterpiece. We are so grateful to live so close to our family so we can really "do life" together and get together for impromptu game nights!